Go to Data Manager > + New Connection > Search for "CallRail" > click Connect. To connect CallRail to Databox, you will need to enter your API Key. You can find this in your CallRail Account by going to User Profile > View Profile > API Keys. If there is not API Key available, click Create New API Key. Typically, Agencies use 1 central CallRail Account for all of their Clients. This means that the same CallRail Account is connected in multiple Databox Accounts (Agency Account + Client Accounts). Often, this results in Agencies hitting CallRail's 1000/ day (100/ hour) API request limit. In order to increase your CallRail API limit, you must contact CallRail's Support Team. Rate limits can be increased per account on a case-by-case basis. In most cases there is no charge to increase limits, but CallRail will ask a few questions about the use case before proceeding. Those questions are outlined below. 1. What does your integration accomplish? Databox is a centralized reporting tool that allows users to access all of their analytics in one place. 2. What causes your application to request data from our API? How often does this occur? For paid Databox plans, data is requested hourly. For free Databox plans, data is requested daily. 3. Are you storing data fetched from the API? Yes, but Databox continues to make API calls for historical data to account for any changes in the data. In the search bar, type "CallRail" or filter by "CallRail" in the righthand menu. 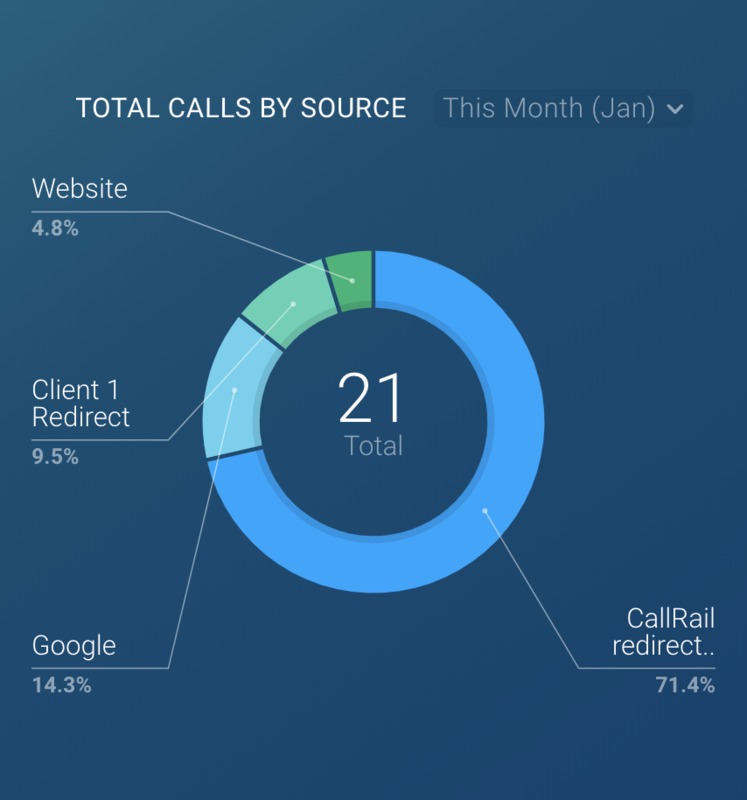 Total Number of Calls tracked during the specified Date Range. 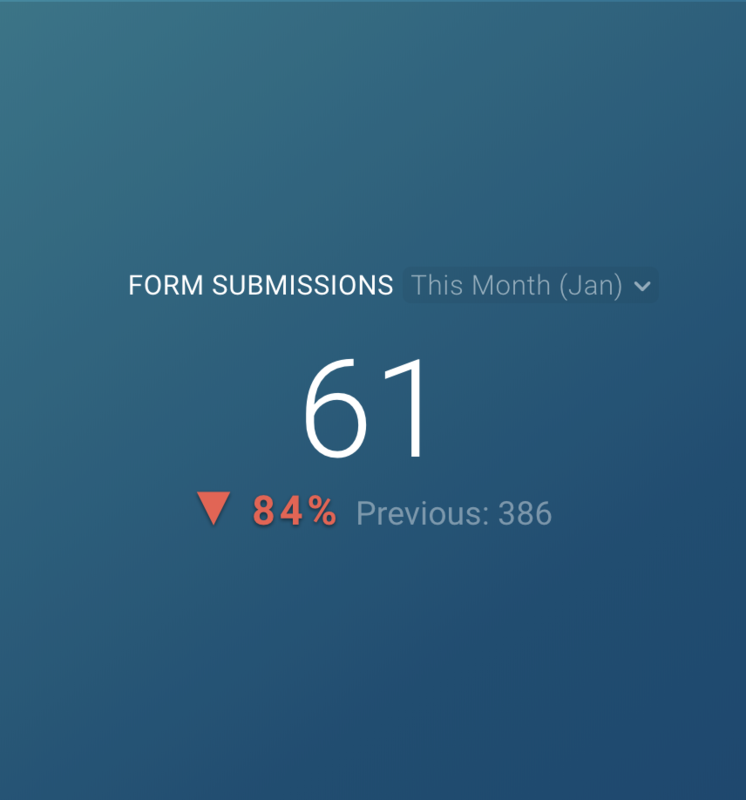 Total Number of Form Submissions tracked during the specified Date Range. 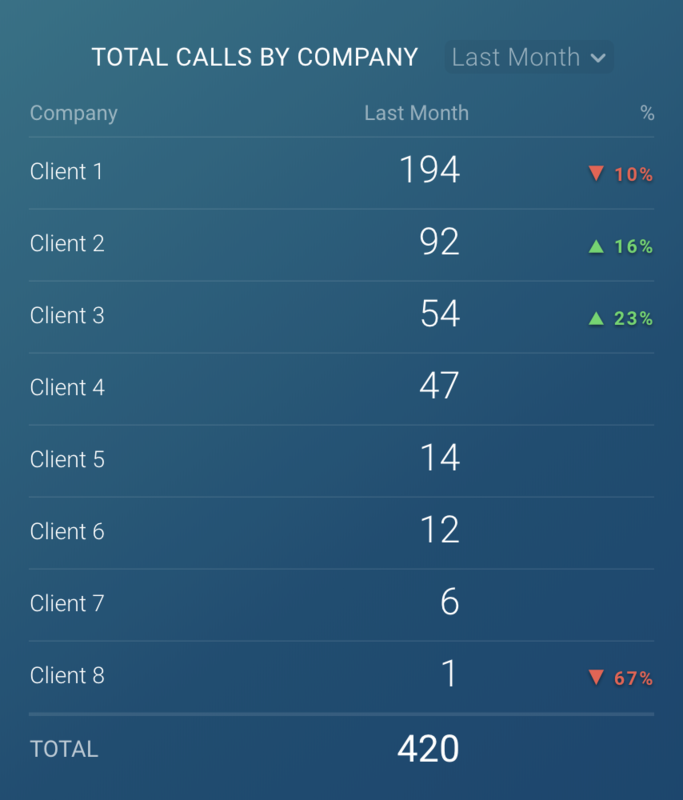 Total Number of Calls tracked, split up by Company, during the specified Date Range. Total Number of First Time Callers tracked for one particular Company during the specified Date Range. 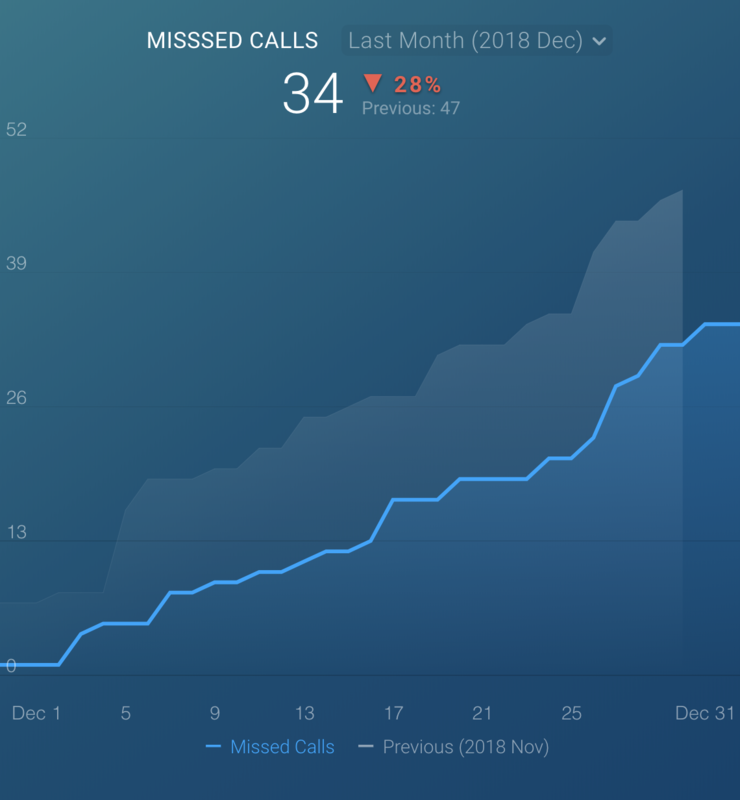 Total Number of Missed Calls tracked for one particular Company during the specified Date Range. 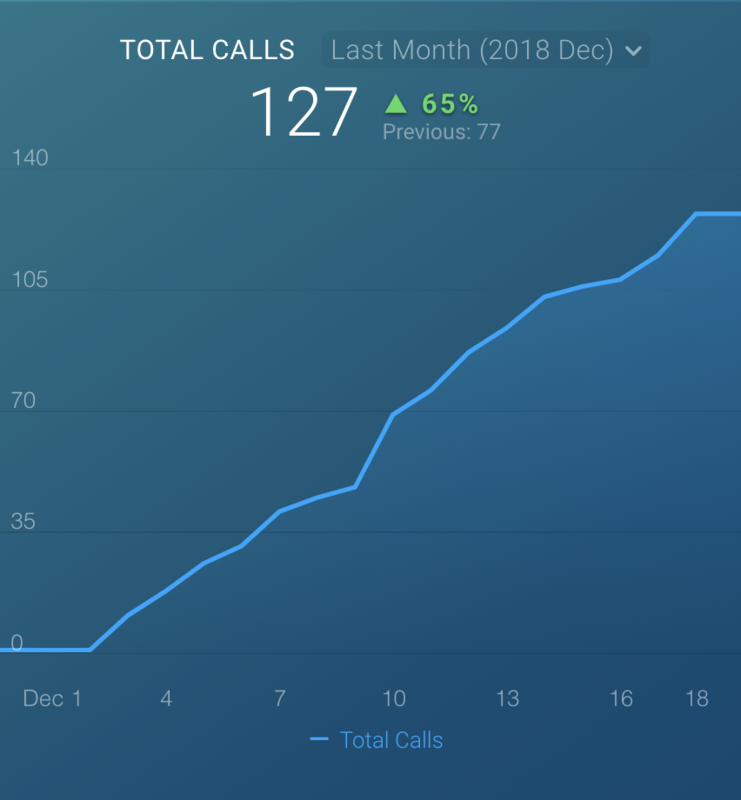 Total Number of Calls tracked, split up by Company, during the specified Date Range. 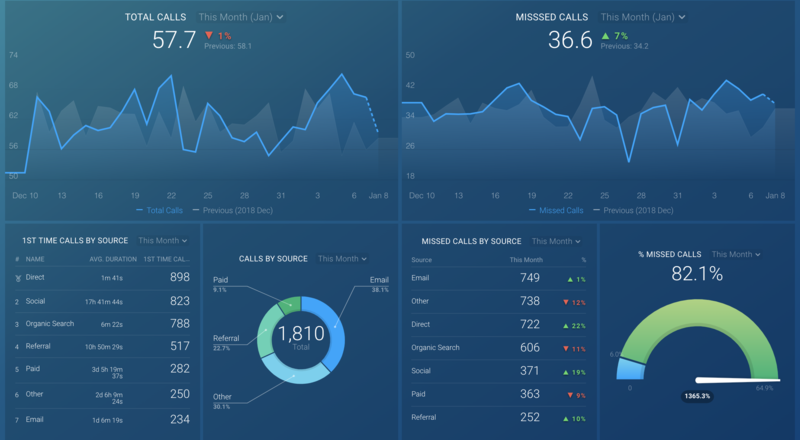 You can view a full list of all available CallRail Metrics here. In order to make the CallRail connector as robust as possible, we have created a Query Builder. This allows you to build Custom Metrics to fit your reporting needs. even more metrics than we offer by default. To learn more about the CallRail Query Builder, read this article. 1. 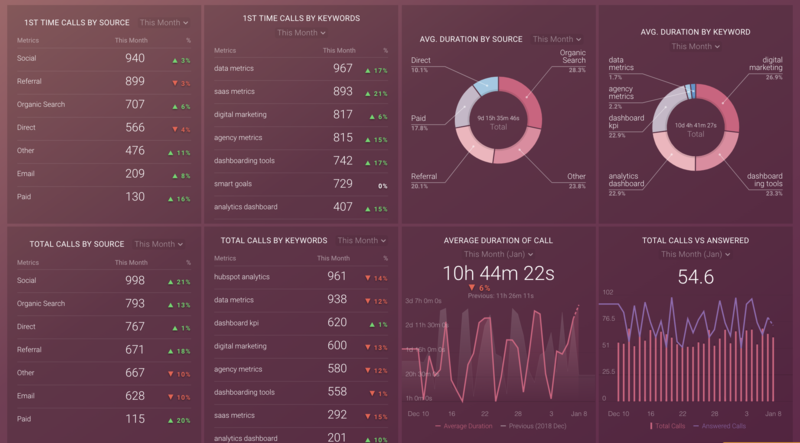 Basic Metrics: Databox makes 1 API call to CallRail's API for every Basic Metric that is used on a Databoard. If all Basic CallRail Metrics are used on Databoards in a paid Account, there will be ~24 API calls to CallRail's API every hour. Example: If 4 Basic CallRail Metrics are used on a Databoard, then Databox will make 4 API calls to CallRail's API/ hour for these Basic Metrics. 2. 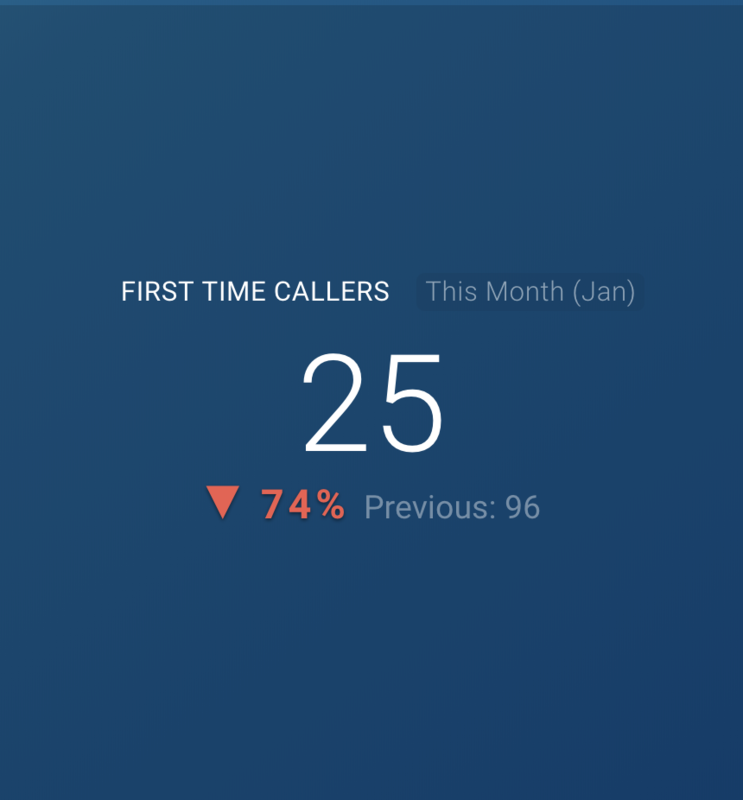 Custom Metrics: Databox makes 1 API call for each Date Range selected, plus 1 API call for each Comparison Period (i.e., Previous Period or Same Period Last Year). Example: If 4 Custom CallRail Metric was built with 6 Date Ranges and Compare to: Previous Period selected in each, Databox will make (6 Date Ranges + 6 Previous Periods) * 4 Custom Metrics = 48 API calls to CallRail's API/ hour for these Custom Metrics. 3. Scheduled Syncs: Once a day and once a month there are regularly scheduled syncs to update all CallRail Metrics, whether they're used on Databoards or not. The daily data sync makes 28 API calls to CallRail's API, while the monthly data sync makes 14 API calls to CallRail's API. These API calls are added to the hourly fetching cycle.